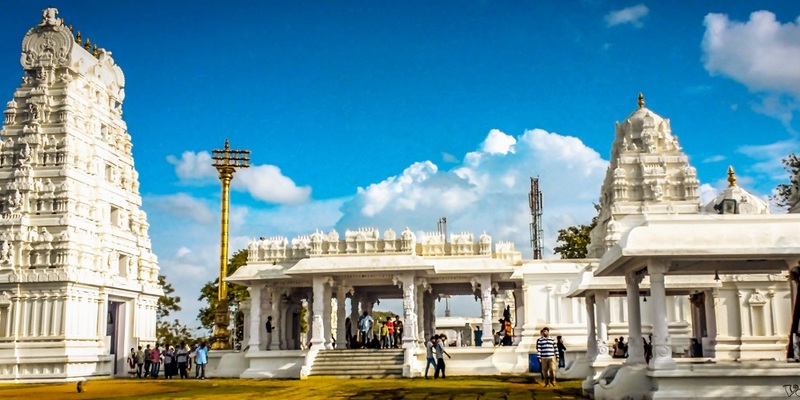 Enchanting Sanghi Temple is located in Sanghi Nagar, 35 kms from Hyderabad in India. It is situated in a hillock called as Paramananda Giri, as one enters a huge Maha Dwaram or gateway welcomes the visitors. The Raja Gopuram can be seen from several kilometers away which is very tall. A little further away, a long flight of steps leads to the entrance of the temple complex. A heavy, beautifully carved door forms the main entrance of the temple complex. The majestic temple complex is built in the Chola-Chalukya style of architecture and hosts all important Hindu God idols. As you further proceed, the stone elephant is seen at the stairway. There are three Gopurams seen at the foot of the hillock which are so tall and seen as if entering into the heavens. On the top of the temple complex one can see the shrine of Lord Anjaneya, the son of Anjana devi, and the son of wind God, who is believed to shower his blessings to his devotees and the red faced Lord Anjaneya is the embodiment of death to the demons and his very name drives away all evils. In famous Sanghi Temple Presiding Deity Lord Venkateshwara inside the sanctum sanctorum is 9-% ft tall and is same as the one at Tirumala. Alankaram every day to the Lord at the Balaji temple. To the right is the abode of Goddess Padmavathi, the consort of Lord Venkateswara. Described as the epitome of love, mercy and compassion, the deity here is seated on a lotus and is also holding lotuses in her hand. 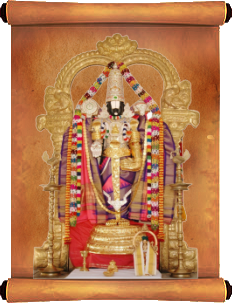 The Ashtalakshmi temple is between the Balaji and Padmavathi temples. Bedecked with jewellery and garlands, Goddess Aadilakshmi in eight facets is seated holding a lotus and Abhaya mudra in her two hands and a lotus and Vara mudra (offering boons) in her other two hands. Close to the shrine of Lord Venkateshwara, is the temple of Lord SriRama, the symbol of man's conquest over evil. Accompanying the Lord are his faithful consort Sita, devoted brother Lakshmana and fervent devotee Hanuman, who is seated at the feet of the Lord with folded hands. The temple of Lord Vijayganapathi is next to the SriRama temple. Known as the remover of all obstacles, his blessings are invoked prior to commencing any activity. Residing on the left of the Balaji temple is Lord Siva or the destroyer among the trinity. This all powerful Lord is seated on a lotus with a crescent moon decorating his hair and a trident in his right hand. Standing next to the Lord is Shakti Swaroopini Kamalambika. Further away is the temple of Goddess Durga. The dark moon faced deity clad in a saffron robe has three eyes. Decorated with omaments and hibiscus flower garlands, the Goddess holds a lotus in her right hand and the left hand reposes downward. The temple of Kartikeya is on the left of the Ganesh temple, fulfilling the tradition of his being on a hill top. The abode of Holding a staff in his right hand and resting his left hand on his waist, the loin clothed Kartikeya is like a Kalpavriksha fulfilling the desires of his devotees. There is also a Pavitra Vanam or a Holy Garden in the temple complex where special leaves and flowers are grown for performing poojas. The complex also consist a Kalyana Mandapam for kalyanosthavam .The Mandapam is a raised platform with a decorated canopy over it. It is built in a style similar to the temples in the complex and blends perfectly into its surroundings. A well tended lawn in front provides plenty of open space for seating the spectators. Different poojas are performed here every day. 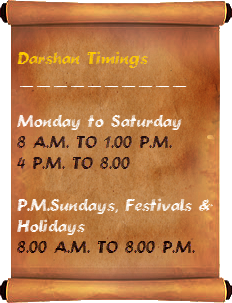 Besides, the temple at Sanghi offers special poojas during festivals.